Tarun Gupta May 16th, 2013 Search Engine Optimization no comments. Hiring guest bloggers to expand your blog is certainly a great idea I have always endorsed. The major hurdle however is to manage multiple guest bloggers at a time. For a webmaster or a business owner who hire these bloggers find it tough to make them scheduled and in control. It is also quite crucial for a blog owner to offer different role access modules to each author. Thankfully, if you own a WordPress blog, things are not as bothering as you think. There are a number of innovative and very popular plug-ins out there that help you take the control in your hands. Let's take on these plug-ins in detail. As the name implies, this plug-in confers a month-by-month calendar. Using the plug-in you can decide the day on which an author has to post a blog. It reflects the days scheduled for the blog posts. When you perform a mouse click on a date, post Time stamp boxes change to that particular date (day, month and year). The Pre-Publish Reminder creates an extensive and accurate checklist of the blogs to be posted. Another innovative widget is Draft Notification. This widget automatically sends an email to the admin when authors saves a new blog. In the mail WordPress plug-in sends the post’s title, the author, and a link. The courthouse is a plug-in that allows multiple authors to be associated with with a particular blog post. These Co-authored posts appear on a co-author’s posts page and feed. These co-authors have an access to edit the posts they are associated with however those co-authors who are not contributors may edit the post only. The Audit Trail plug-in records the activity inside the blog. Authors use the widget to get the information about the happenings such as logging activities. Beside it, you can also use Report Posts plug-in to report any post if they are offensive or not appropriate as per the subject matter. 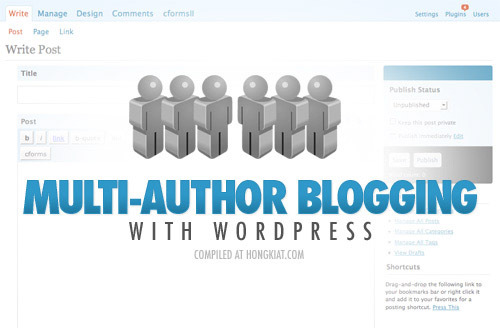 In case of multiple authors, you need to have access control utilities to facilitate authors with individual access of the blog and respective posts. Role Manager is the same widget that accomplishes the motive. The plug-in accommodates a hierarchy of various roles together and assign them to the authors as per requirements. In multi-author WordPress Blog Management Services, Draft Control plug-in plays a significant role indeed. The plug-in allows users to save posts in draft and view them in well-managed row paging system. Another important plug-in is Hide Dashboard. It allows administrators an opportunity to hide dashboards from particular author(s) when multiple authors write form a blog. WP-Group restriction is another important and self explanatory plug-in that allows administrators to manage access to content on the posts. Adminimize plug-in changes the administration backend and offers you the power to extend author rights on certain parts. WordPress plugin development offers blog management professionals a number of quick-to-add plug-ins to manage author profiles. Post Avatar is a plug-in that allows authors to include a picture with the profile when writing blog posts. The widget let authors choose from a predefined list of images / pictures in the Write Post page to display a profile image in a post. Post by Author is another important plug-in that shows the number of last posts by the author. Using the built-in options page, you can define several conditions such as the number of posts to show, set the header text and to show the post dates. For an SEO service professional or a blog management geek, These two plug-ins play a great role. As name implies List Author widget displays a comprehensive list of authors in your WordPress Sidebar. User extra basically perform two important roles. Not only it integrates extra information to users but also supports category access control to access and post article. The list is ongoing. 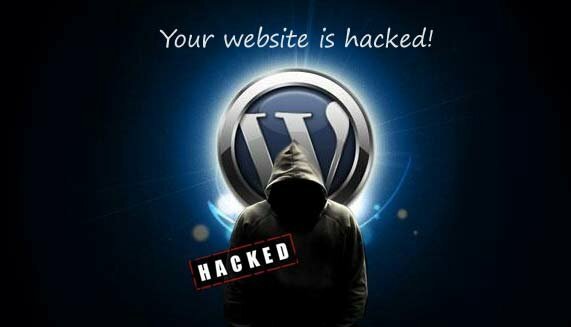 If you own a multi-author WordPress blog, be cautious with its management. If you find it tough to manage it properly, it is a good idea to subscribe a blog management service. Only an expert professionals suggest you the ways to control and manage your business blog.